The next time you plan a visit to your favorite Fredericksburg, Texas bed and breakfast you should consider paying a visit to one of the many wineries also located in Fredericksburg. There are more than 30 wineries through the region and here are a few of BBonline's favorites. Becker Vineyards, owned by Richard and Bunny Becker, was established in 1992 and has been served at the White House. Becker Vineyard wines have been featured in Wine Spectator magazine and the Fine Living Channel, among others. Presenting more than 2,000 barrels and 64 tanks, there is more than 10,000 square feet of wine in the making! The vineyard covers 46 acres and includes Sauvignon Blanc, Cabernet Franc, Merlot, and Sauvignon Cabernet to name a few. Becker Vineyards is open Monday through Saturday from 10am to 5pm and on Sunday from Noon to 6pm. Wine tastings are available at $10 for six sample tastings. The $10 fee includes a crystal wine glass souvenir. Would you like to visit one of these Texas Wineries? Tell us at Facebook! 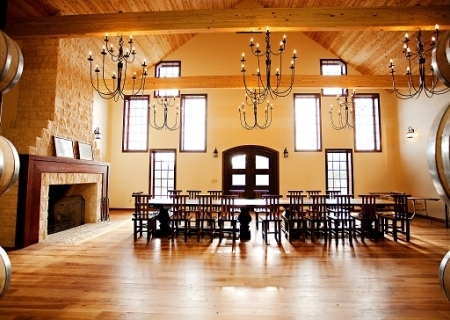 Bell Springs Winery, established in 2009 with lots of wide open space, great wine and a large red Texas barn. Bell Springs Winery is not far from the Austin city limits and features a wine tasting room at the lower edge of the grounds. Picnics are encouraged, but no outside wine allowed. They even allow visitors to bring their dogs! Bell Springs Winery is open Monday and Thursday from Noon to 5pm; Friday from Noon to 6pm and Saturday and Sunday from 11am to 6pm. Wine tastings are offered on Thursday through Monday. Established in 2012, Fiesta Winery Fredericksburg is a lovely winery located on the Colorado River, offering sweet, semi sweet, dry and semi dry red and white wines. Fredericksburg Winery also features a wine club for connoisseurs with easy online access. The farm has been in the family for six generations, although the vineyards were planted in 2010 and have already yield Mourvedre and Cabernet Sauvignon. Fiesta Winery and Vineyard is open Monday through Thursday with limited availability; Friday and Saturday from 10am to 6pm and on Sunday from Noon to 5pm. Wine tastings are $5 for 5 sample tastings and if you purchase a bottle of wine the tasting is free. Pedernales Cellars is a family owned and operated winery, producing award winning wines including Viogniers and Tempranillos; offering winery tours and tastings in the relaxing environment of Texas Hill Country. 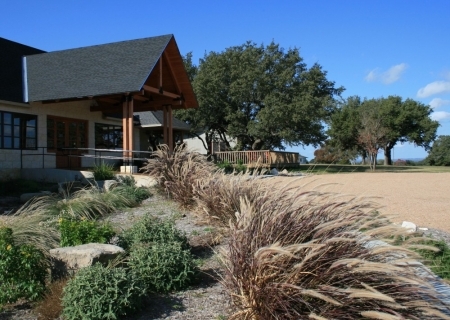 Pedernales Cellars was established in 2006; however the vineyard includes the original Kuhlken vineyard from 1990. Pedernales Cellars is open Monday through Thursday from 10am to 5pm; Friday and Saturday from 10am to 6pm and on Sunday from Noon to 6pm. Tastings and tours are offered daily. Tastings are $12.95 per person and include nine tastings and a souvenir Pedernales Cellars wine glass. Texas Hills Vineyard was established in 1995 and is family owned and operated and specializes in Sangiovese, Syrah, Pinot Grigio and Orange Moscato wines. 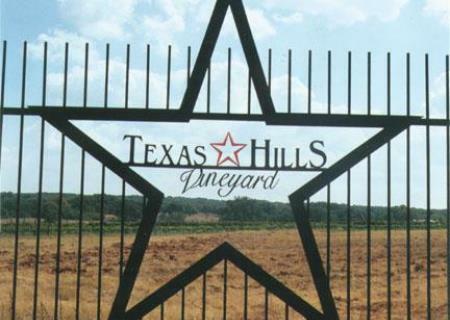 Texas Hills Vineyard prides itself on the ideal location in the hot Texas sun to create the perfect wine. Texas Hills Vineyard is open Monday through Thursday from 10am to 5pm; Friday and Saturday from 10am to 6pm and on Sunday from Noon to 5pm. 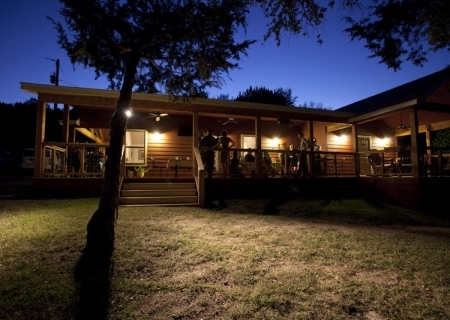 Home of the Circolo Wine Club, Texas Hills Vineyard members have access to a wide variety of wines. Membership is free.